Czech fans of Cartoon Network, the world’s first 24-hour network dedicated to animation, have been able to enjoy the channel’s biggest franchises such as Ben 10 and The Powerpuff Girls, as well as many other exciting programmes since late September. The new language track was launched as Cartoon Network celebrated its 25th anniversary and the channel is planning to delight its Czech audience with more new shows during 2018. Cartoon Network is planning to launch local language version of The Heroic Quest of the Valiant Prince Ivandoe in the Czech Republic and Slovakia in January, introducing kids in those countries to the young prince of the forest, Ivandoe, who goes on a quest with his squire Bert. Ivandoe embarks on an epically silly adventure, discovering new and mysterious areas of the forest and an array of peculiar creatures along the way. A second launch in spring will present the unique competition Ben10 Challenge, which is inspired by one of the most popular Cartoon Network shows, Ben10. In the show, families compete on a bespoke Ben 10-themed set in a series of themed challenges to win some fantastic prizes and the title of ‘Ben 10 super fan’. 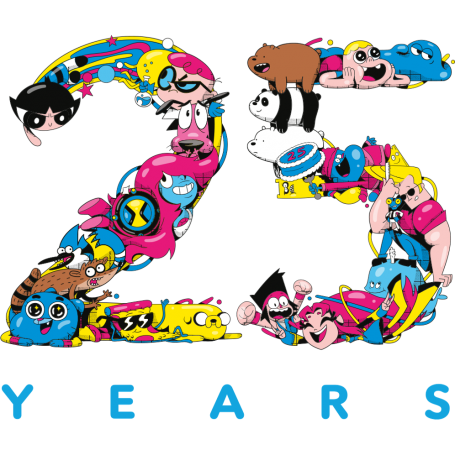 On 1st October 1992, the way we enjoyed cartoons changed forever when Cartoon Network launched with round-the-clock original animated content and nearly exactly 25 years later, cartoon fans in Czech Republic and Slovakia were introduced to classic characters in Czech, as well as a slate of upcoming new characters and shows. Cartoon Network has continued its tradition of trailblazing over the years, delivering ground-breaking innovative shows such as Adventure Time, Steven Universe, The Amazing World of Gumball and the upcoming OK K.O.! Let’s Be Heroes.